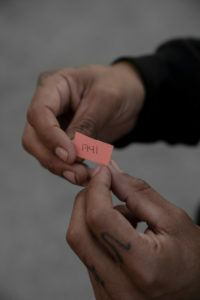 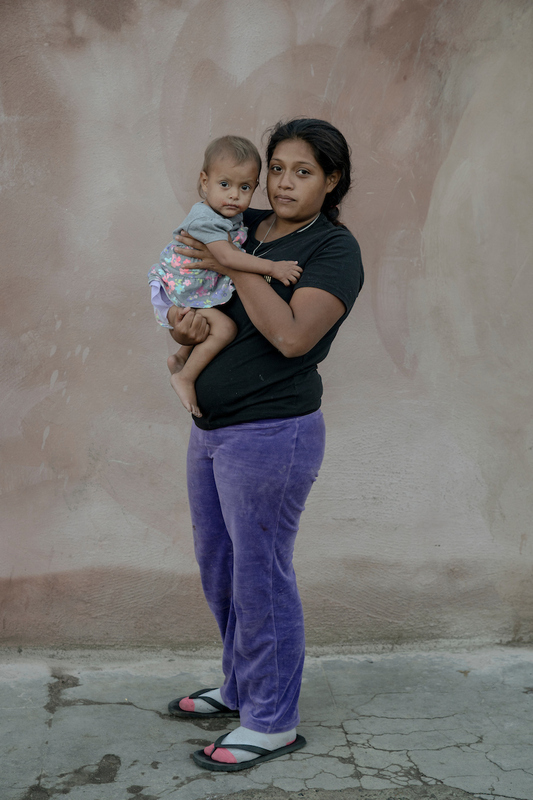 in the ‘Northern Triangle’ countries of Honduras, El Salvador, and Guatemala. 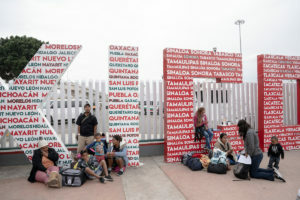 In the US, however, the caravan was becoming a symbol for something else. 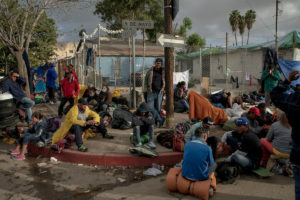 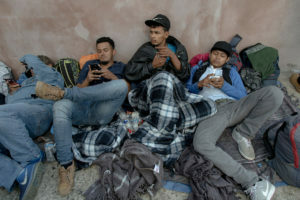 Seizing on the optics of 7,000 bedraggled people marching northward as incontrovertible proof that America was under siege by vast mobs of mystery invaders, President Trump turned the caravan into the cornerstone of his pre-midterm election rhetoric. 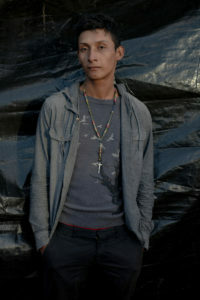 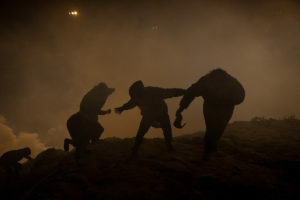 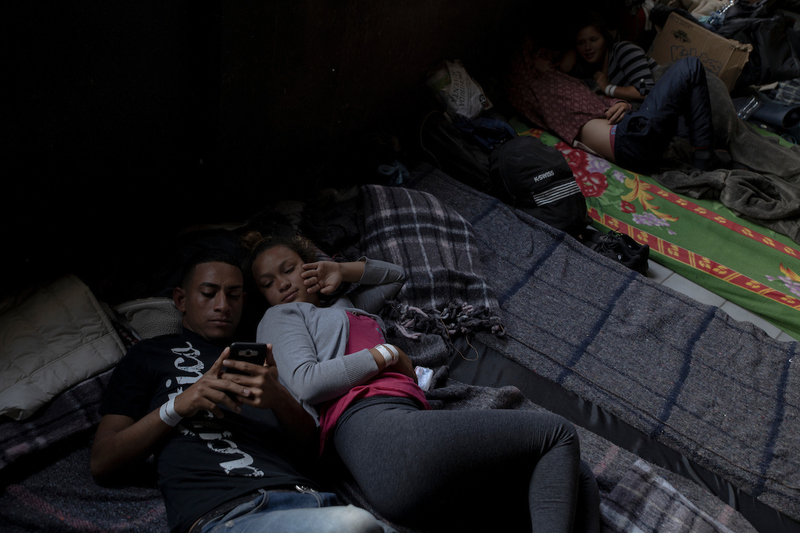 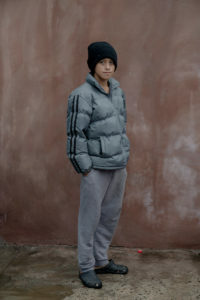 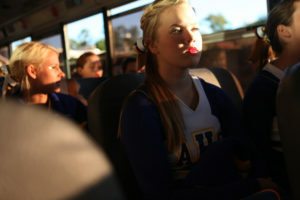 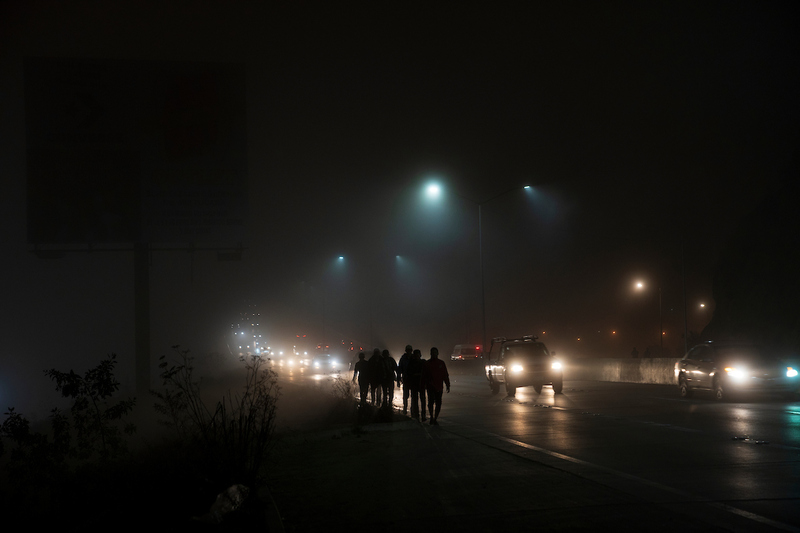 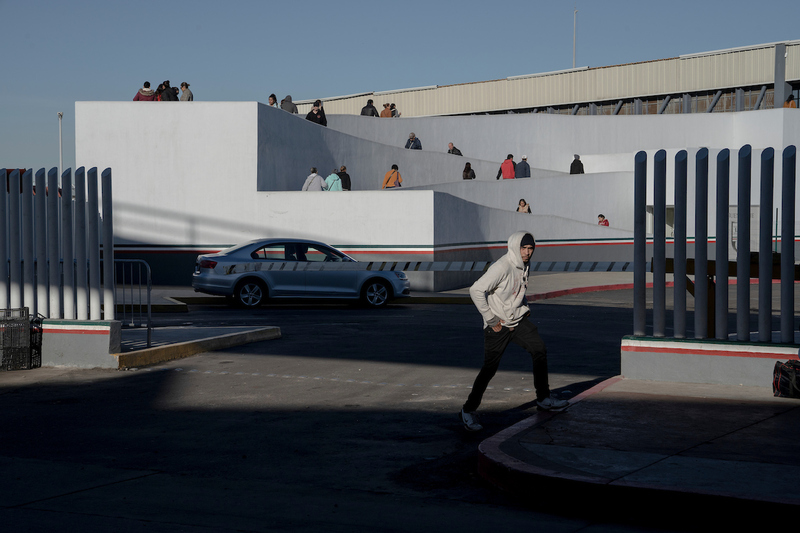 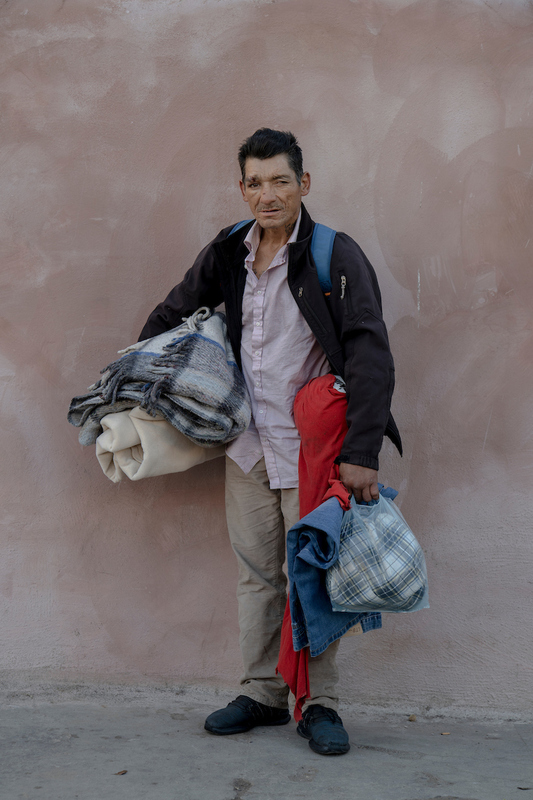 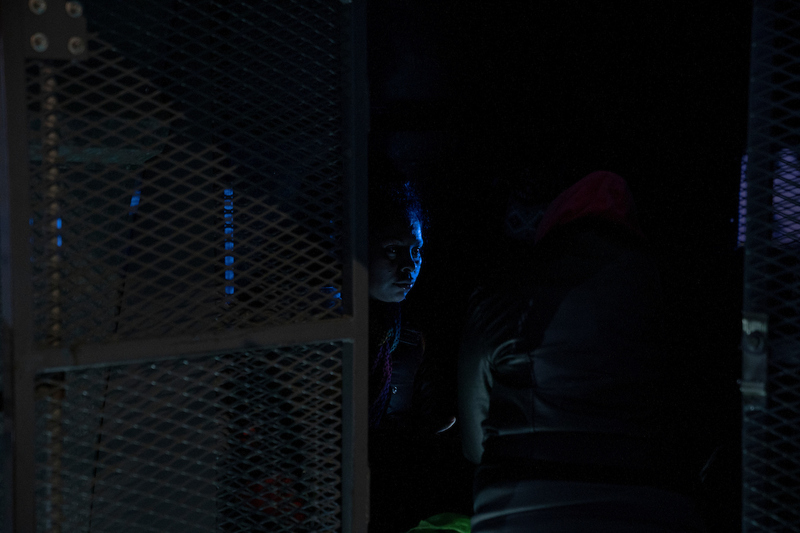 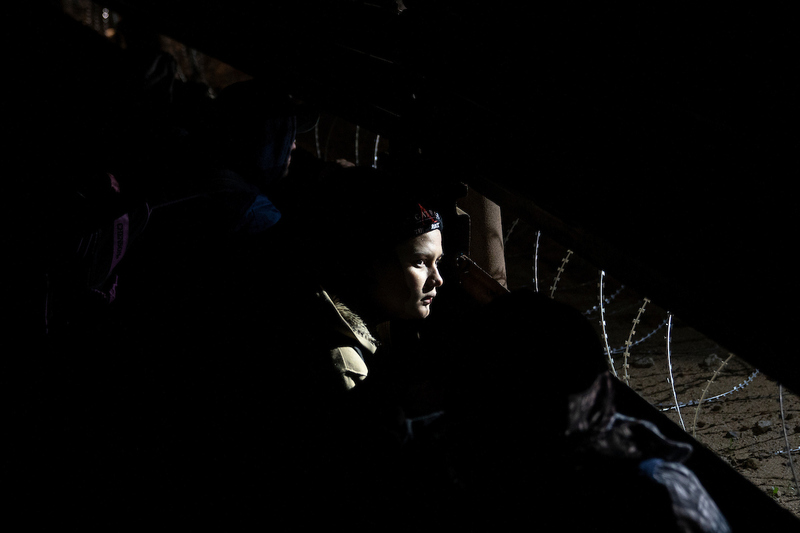 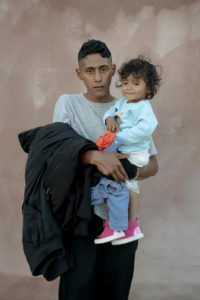 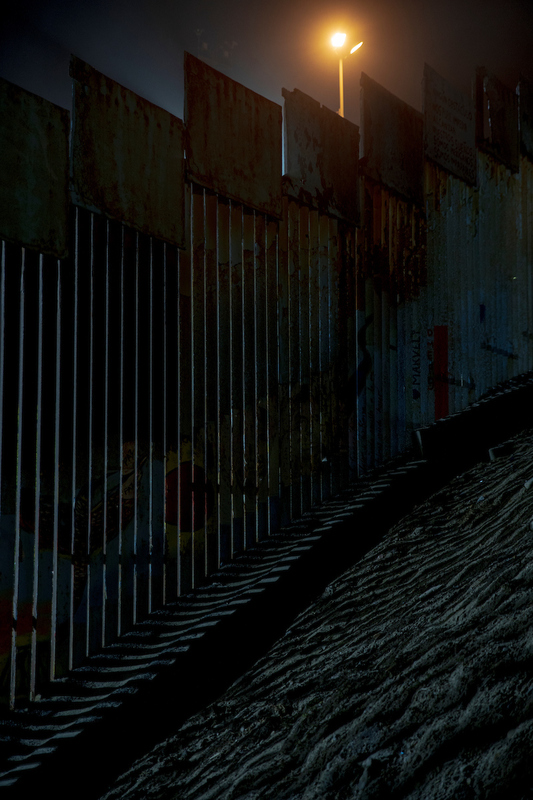 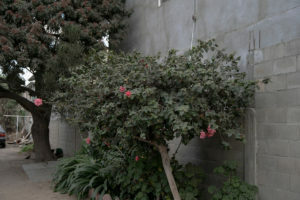 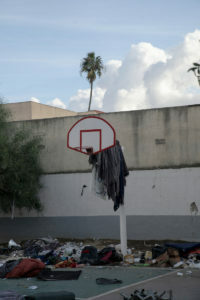 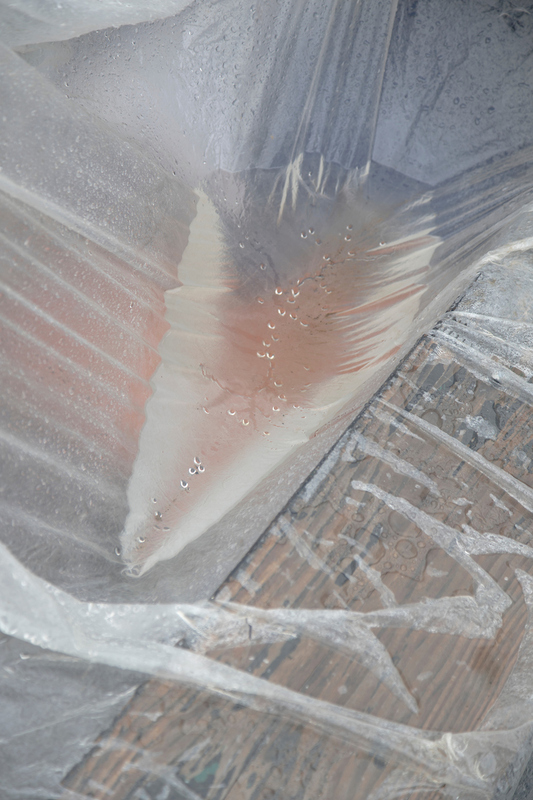 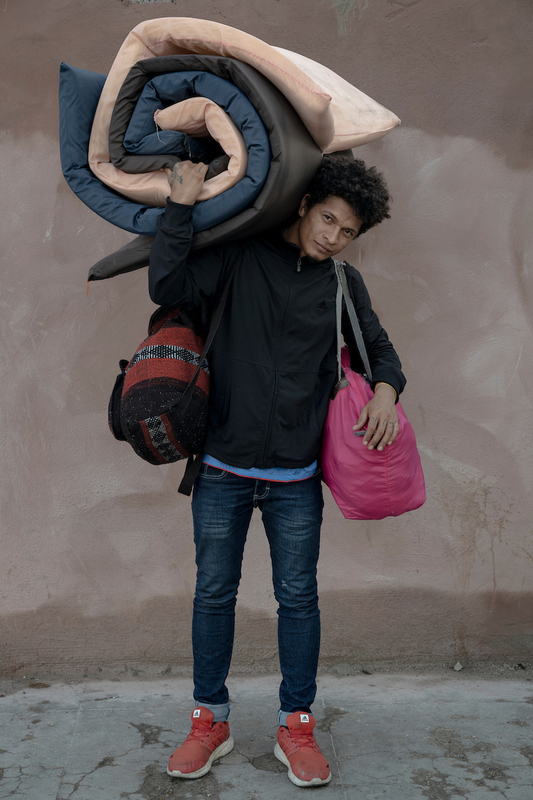 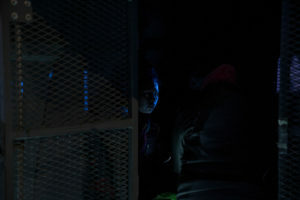 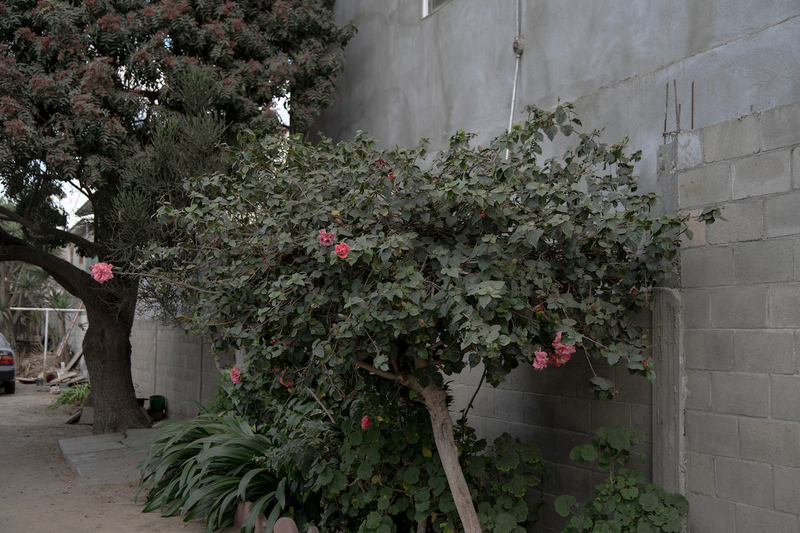 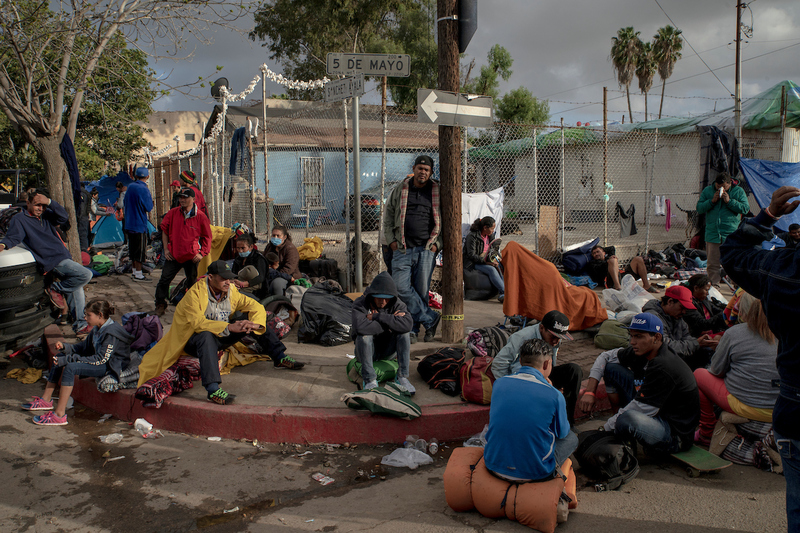 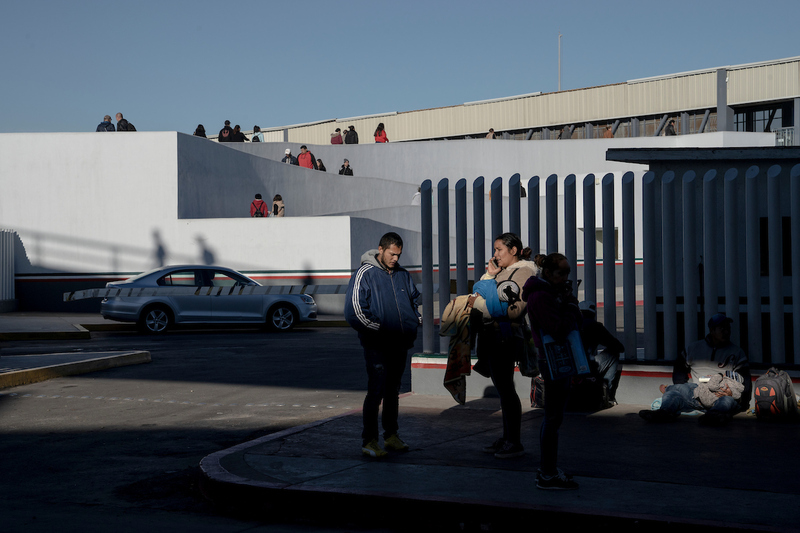 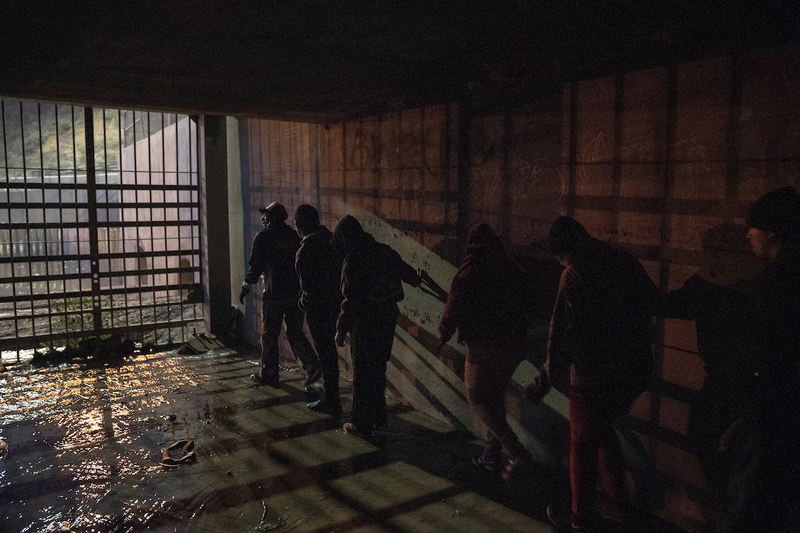 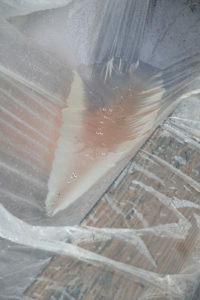 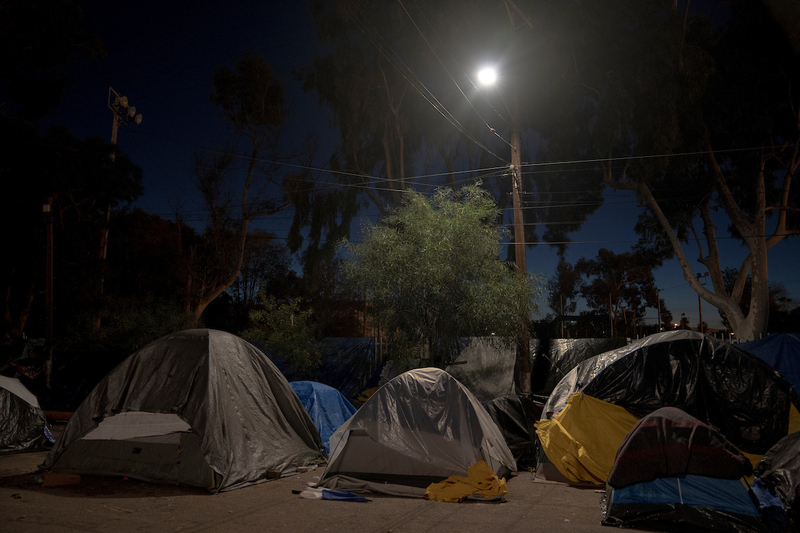 Mid-November, the caravan arrived in Tijuana, and almost immediately the mood darkened. 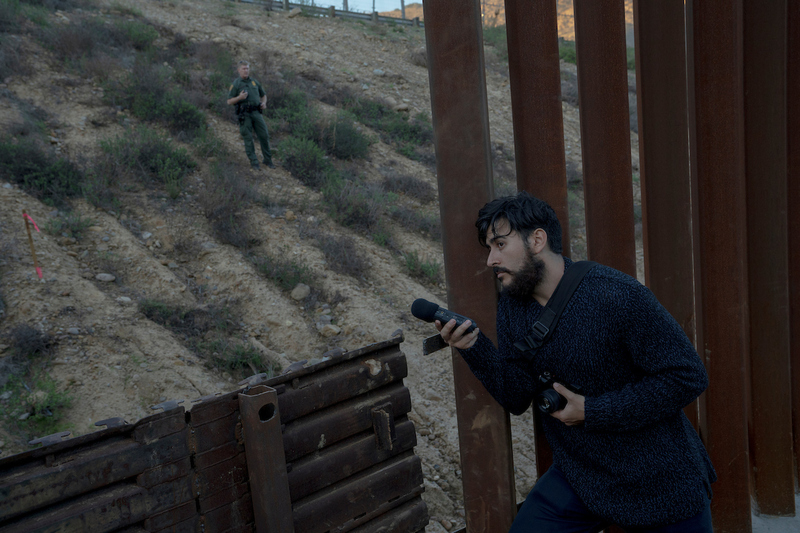 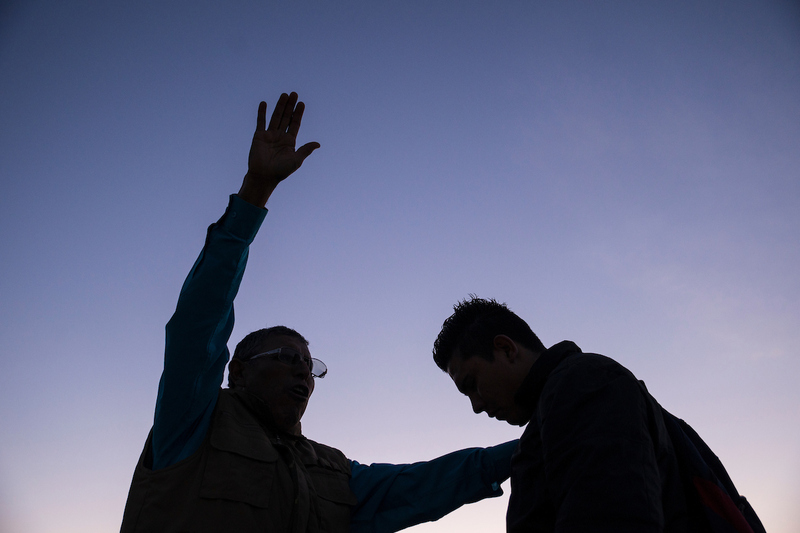 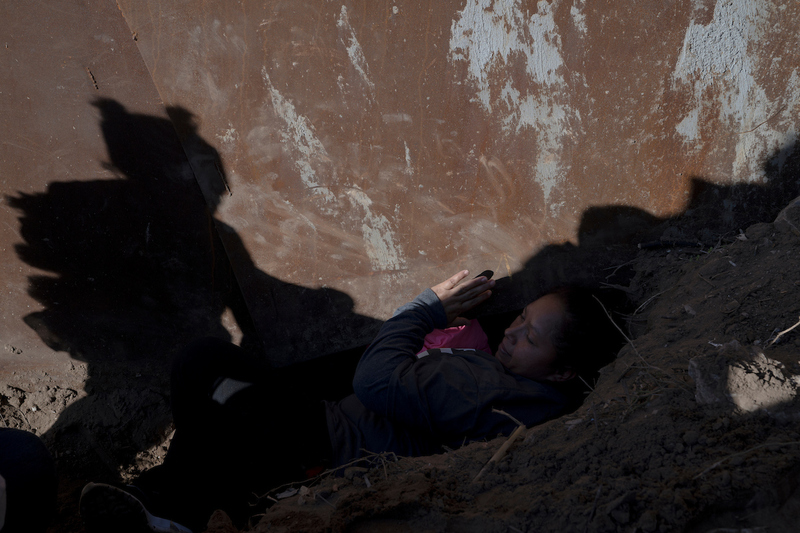 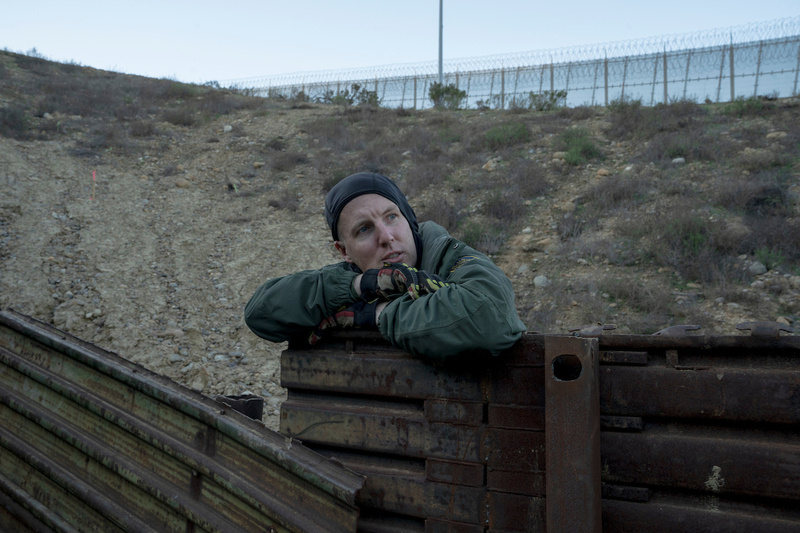 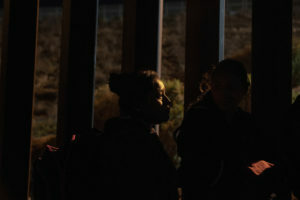 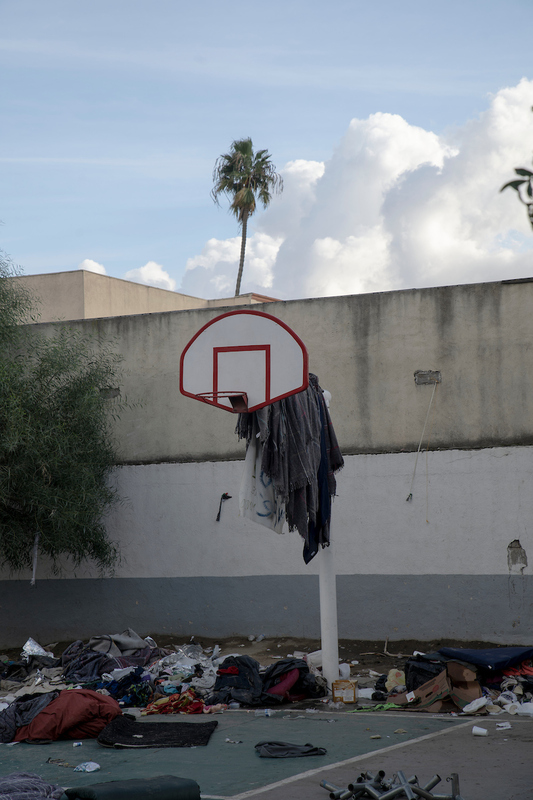 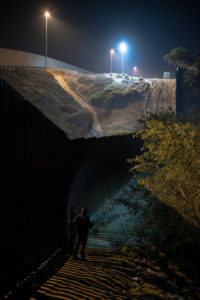 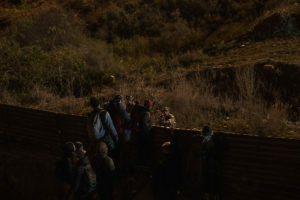 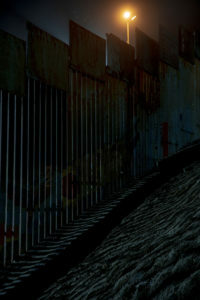 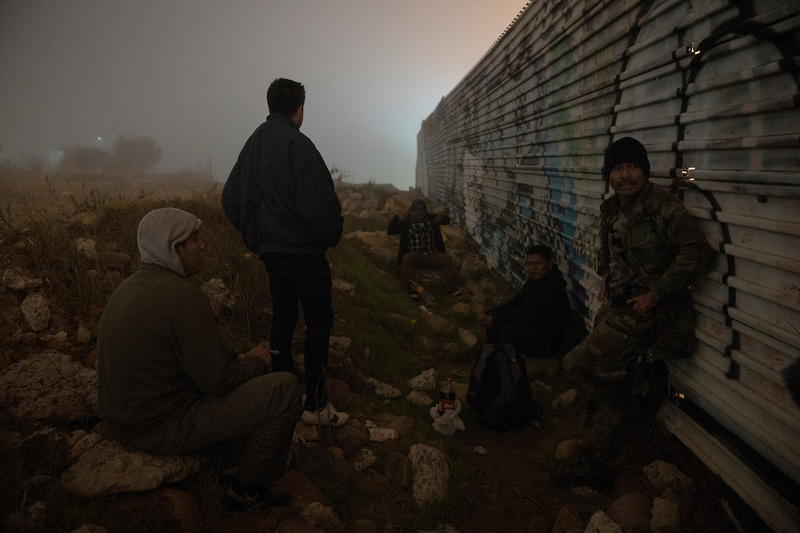 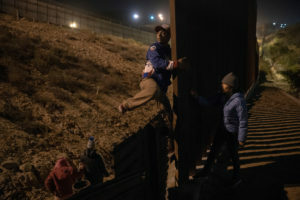 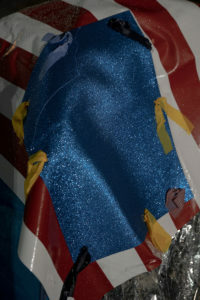 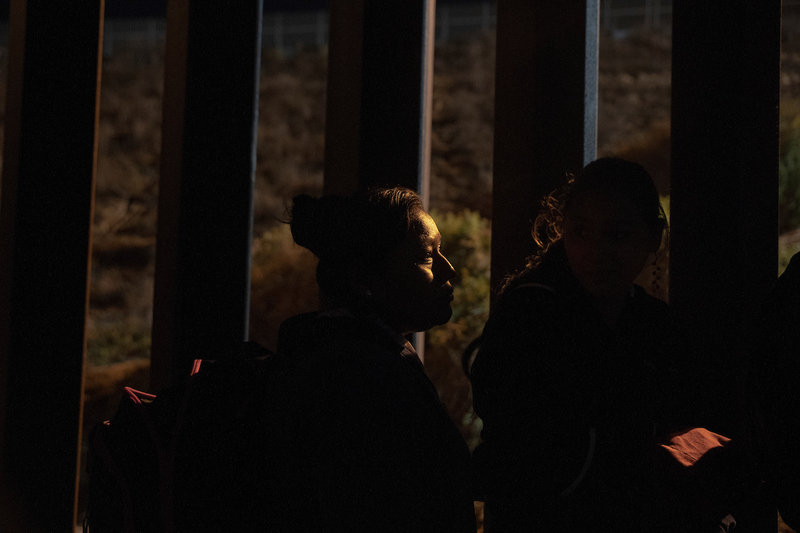 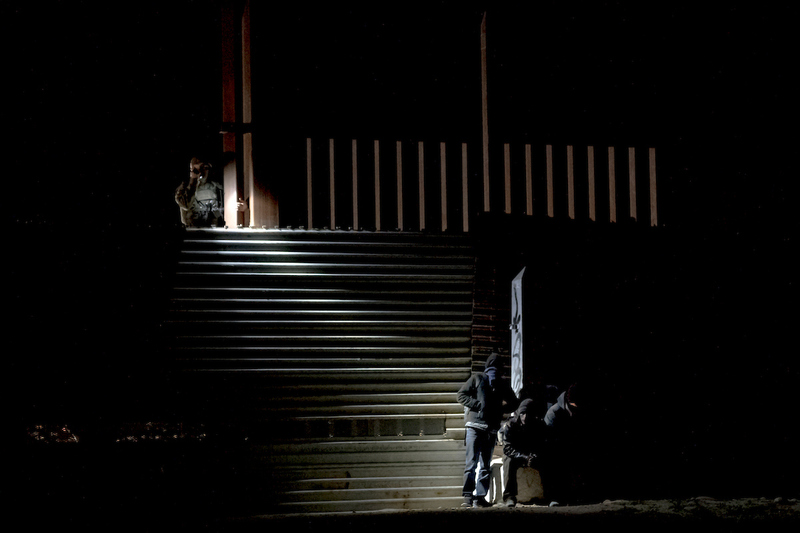 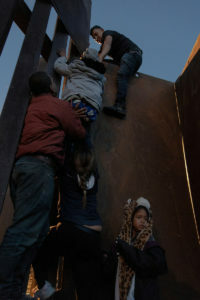 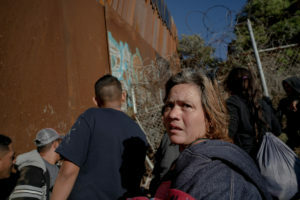 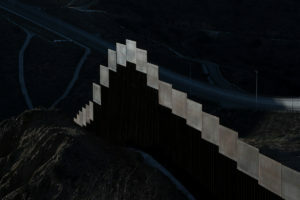 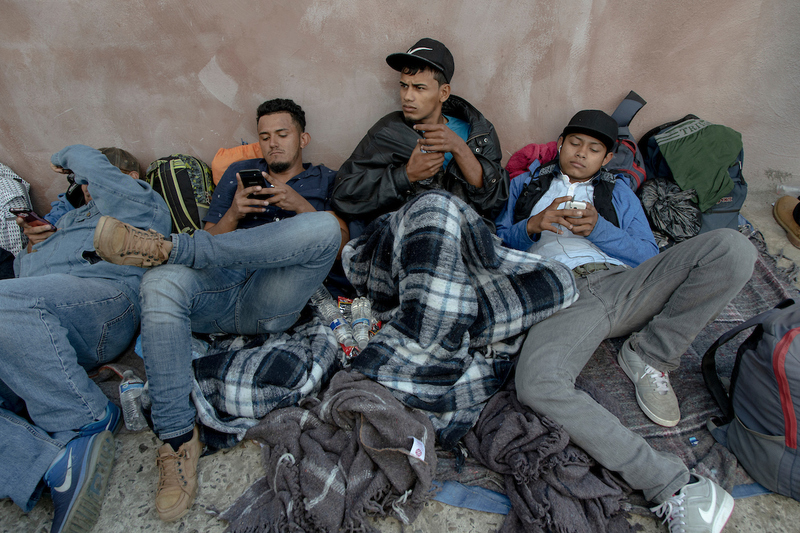 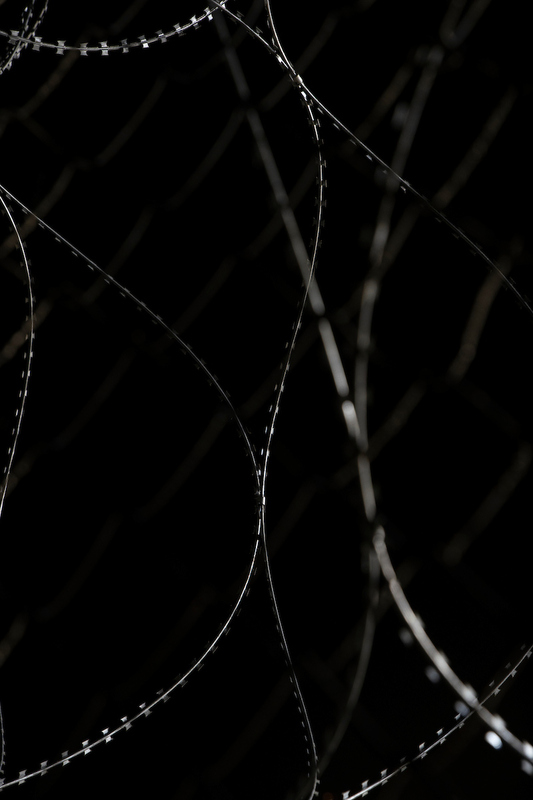 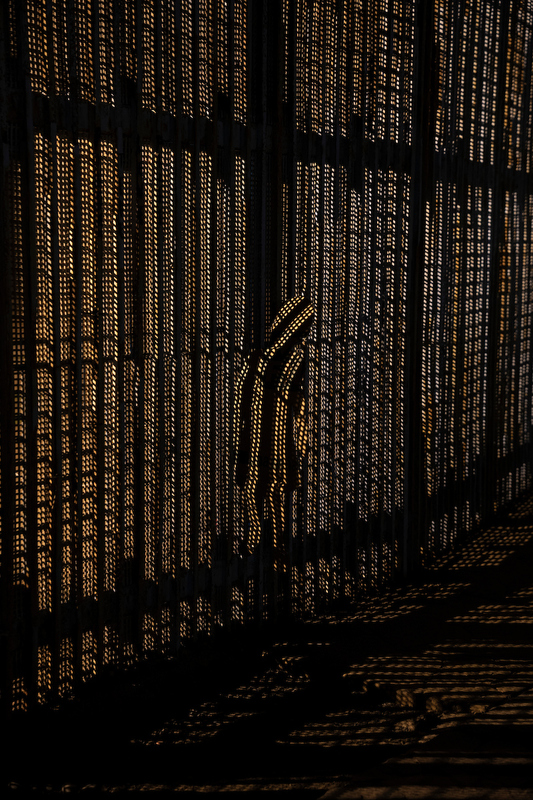 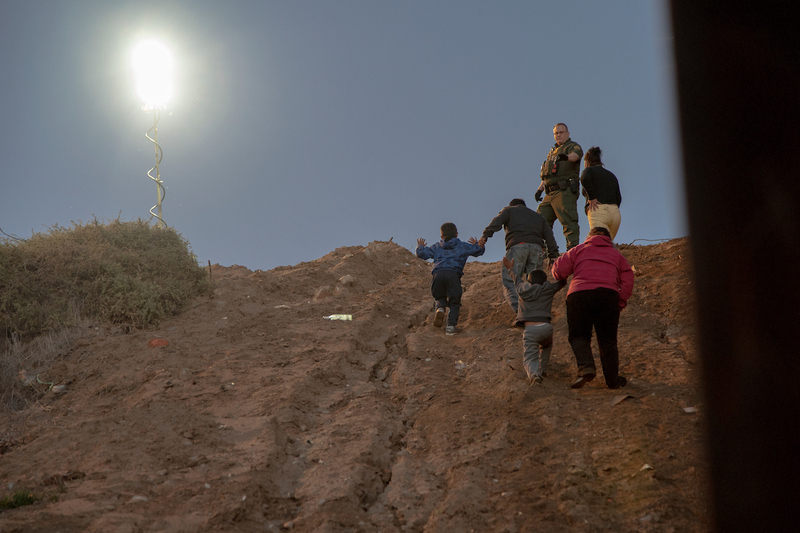 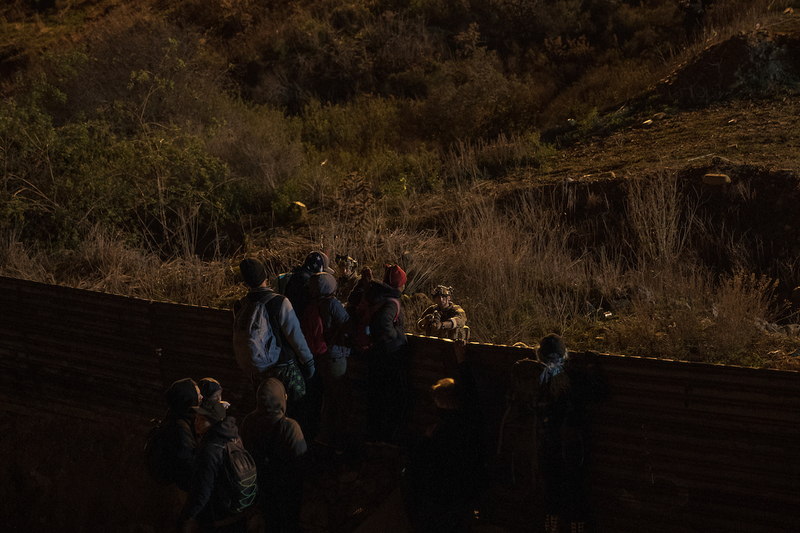 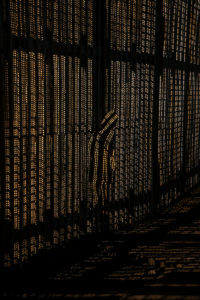 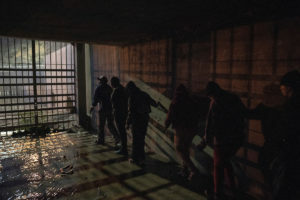 The migrants saw the US border for the first time: the floodlights, cameras, motion sensors, the two imposing metal walls festooned by razor-sharp concertina wire, the rigorous patrols of the Customs and Border Protection officers. 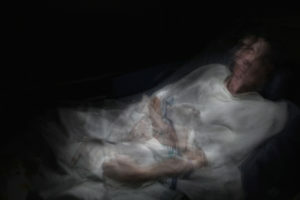 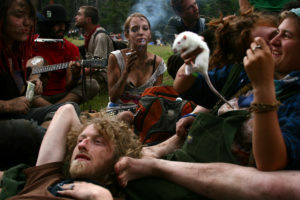 American pipe dream, tangible enough to pull at the soul, but illusory enough to crush it.